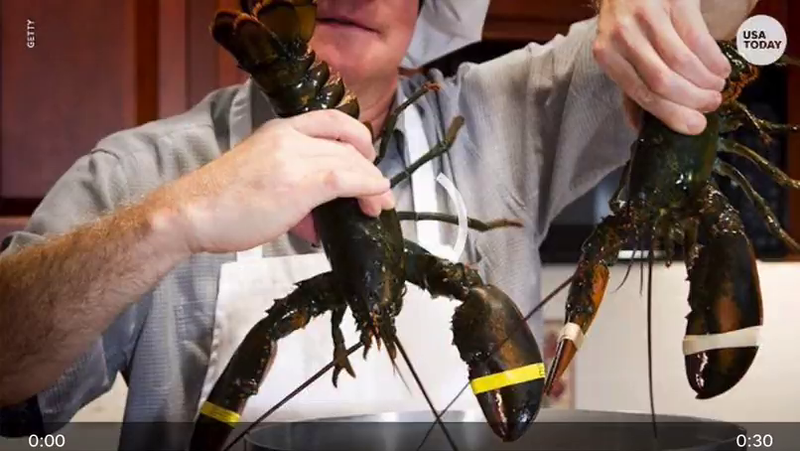 (by Helena Bachmann, Special to USA Today) GENEVA — A law that takes effect March 1 will ban the common cooking method of tossing a live lobster into a pot of boiling water, which quickly kills the crustacean. That practice is being outlawed because the Swiss say it’s cruel and lobsters can sense pain. The first such national legislation of its kind in the world calls for a more humane death for lobsters: “rendering them unconscious” before plunging them into scalding water. Two methods are recommended: electrocution or sedating the lobster by dipping it into saltwater and then thrusting a knife into its brain. The same law also gives domestic pets further protections, such as dogs can no longer be punished for barking. The measure is part of the broad principle of “animal dignity” enshrined in Switzerland’s Constitution, the only country with such a provision. The Constitution already protects how various species must be treated and specifies that animals need socialization. That means cats must have a daily visual contact with other felines, and hamsters or guinea pigs must be kept in pairs. And anyone who flushes a pet goldfish down the toilet is breaking the law. The new lobster legislation that [prohibits boiling lobsters is] driven by research, including a study by Queen’s University in Belfast…. “These studies show that lobsters, like other animals, experience pain and distress,” said Stefan Kunfermann, a spokesman for the Swiss Federal Office of Food Safety and Veterinary Affairs. 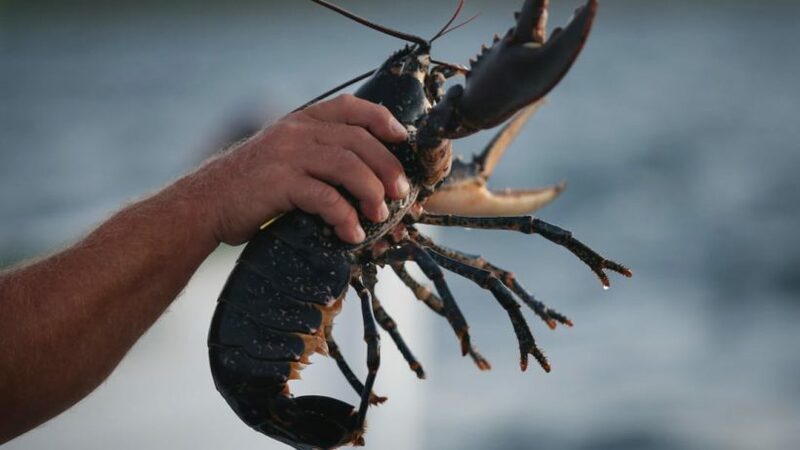 Although lobster consumption in this landlocked country is “negligible,” the Parliament had tried to ban the import of all live lobsters to prevent them from [being cooked in the usual manner in a pot of boiling water by] Swiss restaurant cooks, Kunfermann said. That drastic measure would violate international trade agreements, so authorities instead issued new rules on how to make the lobsters’ demise as painless as possible. The law also stipulates that lobsters must be transported to their final Swiss destination in their natural environment — seawater — rather than on ice. The government vows that offenders will not slip through the net. State officials will be responsible for enforcement, and Kunfermann said offenders could land in hot water, with sentences of up to three years in prison. Animal rights activists applauded the law and called for more action. “While this may end one of the cruelest methods of killing these fascinating beings in Switzerland, there are no laws protecting them from being boiled alive in other countries — including the U.S.,” People for the Ethical Treatment of Animals (PETA) said on its website. “Globally, Switzerland is in the forefront of animal welfare legislation,” said Antoine Goetschel, an attorney and founder of the Zurich-based Global Animal Law Association. In 2010, Goetschel represented in court a 22-pound pike that he said suffered when a local fisherman roughly yanked it for 10 minutes before pulling it from icy Lake Zurich. The fisherman was acquitted, but Goetschel spearheaded a national referendum that same year to grant animals the constitutional right to be represented by lawyers in court. The proposal was rejected by 70% of the voters. Not everyone is happy with the regulation. Chef René Widmer, founder of Prorest Culinary School in the town of Rafz, complained to Blick newspaper that the new law is useless. Published at USAToday .com on Feb. 16, 2018. Reprinted here for educational purposes only. May not be reproduced on other websites without permission from USA Today. b) For what reason has the Swiss government passed this law? c) Describe the details of the new law. d) Under what principle of the Swiss constitution does this law fall? What additional provisions are required for animals under the law? e) What penalty would those who disregard the law face? f) The lawyer who represented a pike in court (see para. 15) later proposed that animals be given the constitutional right to be represented by lawyers in court. 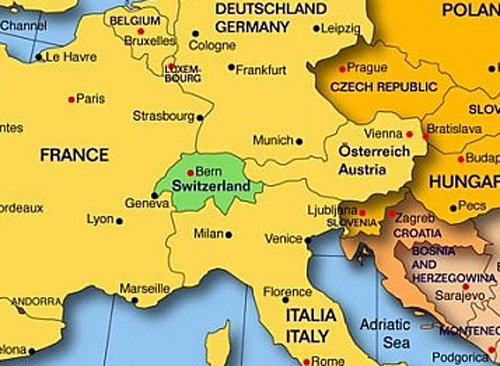 His proposal was rejected by 70% of Swiss voters. Read the World article #1 on Pakistan. What do you think could happen if the Swiss government and the animal “rights” organization PETA instead used their collective energy to stand up for a woman like Asia Bibi?